The Scottish industry with the highest profile has undoubtedly been oil and gas – for the past 40 years, at least; longer than the majority of the working-age population has been alive. 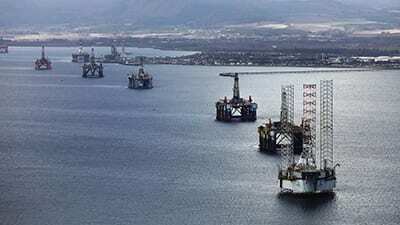 The value of the North Sea’s oil fields has been a source of political contention, and wealth, but output is falling, revenues are a fraction of what they once were and the oil price is stuck obstinately below US$60 a barrel. Other sectors, therefore, are becoming economically more important, reports Ruari McCallion. Wind energy: gale force or hung out to dry? The Scottish government has said that it wants Scotland to become the ‘wind power capital of the world’. It has the raw material – wind, and plenty of it – but it’s questionable whether the manufacturing infrastructure is present to take fullest economic advantage. Onshore renewables have been severely knocked back since government support for new projects was ended. The UK’s only off shore wind turbine mast producer, CS Wind UK, is now owned by CS Wind Corporation of Korea. It has invested £26m in a manufacturing hall at its base near Campbeltown, Argyll, that will allow production of larger-diameter towers for the offshore wind sector and could result in 70 new jobs. It has a number of ‘memorandums of understanding’ in place for supply of over 200 towers for both onshore and offshore customers but orders ultimately depend upon their customers winning contracts. While the sector has been growing substantially, wider infrastructure does not seem to have developed as strongly as that of the oil and gas sector; there is no wind turbine manufacturer in Scotland. However, there is a steady stream of operations and maintenance (O&M) work to be done over the 20-year lifetimes of towers and turbines. Scotland has a lot of appropriate and transferable O&M expertise; a legacy from the North Sea oil industry. The Michelin plant in Dundee is benefiting from a £16.5m investment in expanded manufacturing capacity, including electric curing technology – a first for the French company. The new technology will help to cut CO2 emissions by over 7000 tonnes a year, from the plant itself and from improved fuel efficiency of the tyres. 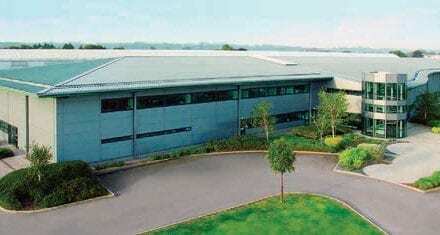 The total investment included a £4.5m Environmental Protection Grant from Scottish Enterprise. 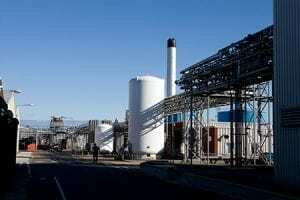 GSK announced in August that it is investing £44 million in a new aluminium salts facility at its plant in Montrose, Tayside, which produces ingredients for use in vaccines for whooping cough, tetanus and pneumonia. The investment is in addition to its £29 million project to enhance production of respiratory medicines at the same site. Scotch whisky is Scotland and the UK’s top commodity export. Scotland’s main export and net revenue earner is Scotch whisky. The ‘water of life’ (Gaelic: uisge beatha) is the largest food and drink export, not only from Scotland but from the UK as a whole. It was the top commodity contributor to the UK’s trade in goods in 2015: ahead of cars, pharmaceuticals and even aircraft. Its net export value at the beginning of 2017 was stated to be £4bn, nearly 10 percent up on the previous year; exports account for approximately 80 percent of total output. The industry adds value to simple domestic raw materials: water, barley, wheat and malt. Imports, in the form of casks and packaging materials, amount to only £200m, giving a very positive balance. More than 40,000 jobs were supported by the industry across the UK, including 7,000 in rural areas, including some of the most remote and isolated communities in the UK, such as the northern Grampian region, the Hebrides, and the Orkney islands. Whisky is growing in popularity across the world, especially among the emerging middle class in Asia and Latin America. Increasing demand has led to 14 new distilleries being opened in Scotland since 2013, with another 40 planned for the next few years. 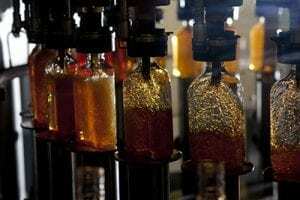 Diageo announced in October 2017 that it will be reopening Port Ellen distillery on the island of Islay, Inner Hebrides, along with Brora, Sutherland, in the far north. The £35m investment in the two sites will enable the company to replicate, where possible, the distillation regimes and spirit character of the original facilities. Their capacity of 800,000 litres a year may sound a lot but it puts them among Diageo’s smallest. They are expected to be in production by 2020. Scotland is seeking to increase milk production by 50 percent in a decade. Collaboration and investment in the Scottish Manufacturing Advisory Service’s (SMAS) Make Innovation Happen initiative is seeking to drive Scottish milk production to over 1.6bn litres a year by 2025; a 50 percent increase in a decade. The aim is to build on strengths in the value add dairy sector, through wider production of cheese, yoghurts, desserts, milk powder and ice cream. About 80 percent of Scottish output is sold as liquid milk and cheddar cheese. 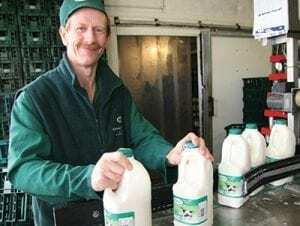 The Scottish Dairy Brand marque, which guarantees that the products that carry it are made in Scotland from 100 percent Scottish milk, now appears on more than 40 lines. The wider food and drink segment is the target of the Ambition 2030 initiative, developed by the Scotland Food &amp; Drink Partnership, which includes the main organisations in the farming, fishing, food and drink sector, alongside the Scottish Government and its key agencies. It aims to double the size of the industry, to 30bn by 2030. Around 119,000 people currently work directly in the sector, which is already growing at twice the rate of the UK average. Along with skills and supply chain issues, the initiative is seeking to encourage the industry to embrace a new culture of innovation to drive growth. Scotland’s oil & gas industry is facing major challenges on two fronts: from an oil price that remains stubbornly below $60/barrel; and the inevitable decline in reserves. Data from trade body Oil &amp; Gas UK shows that industry employment has fallen from nearly 500,000 in 2014 to 315,000 at the end of 2016, with a further 13,000 sector-linked jobs lost in the rst half of 2017. The RMT union says that workers are also seeing 20-30 percent pay cuts and longer tours of duty. Annual output from the UK Continental Shelf (UKCS) peaked in 1999, at around 4.5m barrels equivalent per day (bbd); production is expected to be one-third of that by 2020 and will continue to decline to at least 2022. The high levels of CapEx from 2010-14 are seeing their nal fruits: 14 exploration and eight appraisal wells that opened in 2016 – the highest number for 10 years – and eight new elds opened in 2017 but this marks the end of that period’s investment legacy. 2017’s new elds have an estimated peak production of 140,000bbd, and total output this year is said to be 16 percent higher than in 2014. <strong>BP’s</strong> Clair Ridge project, west of Shetland, will add to production; Statoil, the Norwegian company, announced in October 2017 that at least 25m recoverable barrels had been proven in the outer Moray Firth, north-east of Inverness, with “significant remaining potential” in the basin. Operating in the North Sea is expensive but Bob Dudley, head of BP, told the industry at September’s Offshore Europe conference in Aberdeen that it has a bright future, if it can follow the lead of the innovative US shale operators. He said the North Sea has to do “more with less” and focus on growth areas, such as gas, fuels and lubricants. Ben van Beurden, CEO of Shell, has described the North Sea as “a pathfinder” for efficiency. The smaller companies taking a greater role have halved production costs since 2014 to $15/ barrel, according to the Oil &amp; Gas Authority (OGA), the UK’s independent regulator. The government has cut upstream taxes and committed £40m to fund seismic surveys and facilities. UK Oil & Gas says that up to US$40bn of potential investment is present in business plans, ready to be deployed if the environment is favourable. For now, the area seeing the fastest growth in investment is decommissioning.